These are two wineries that were at the top of my list to visit and the first appointment that I made. Why? The have a large importance in the international market, exporting over 90%. These brands would come up every now and again during my course as 'study wines'. 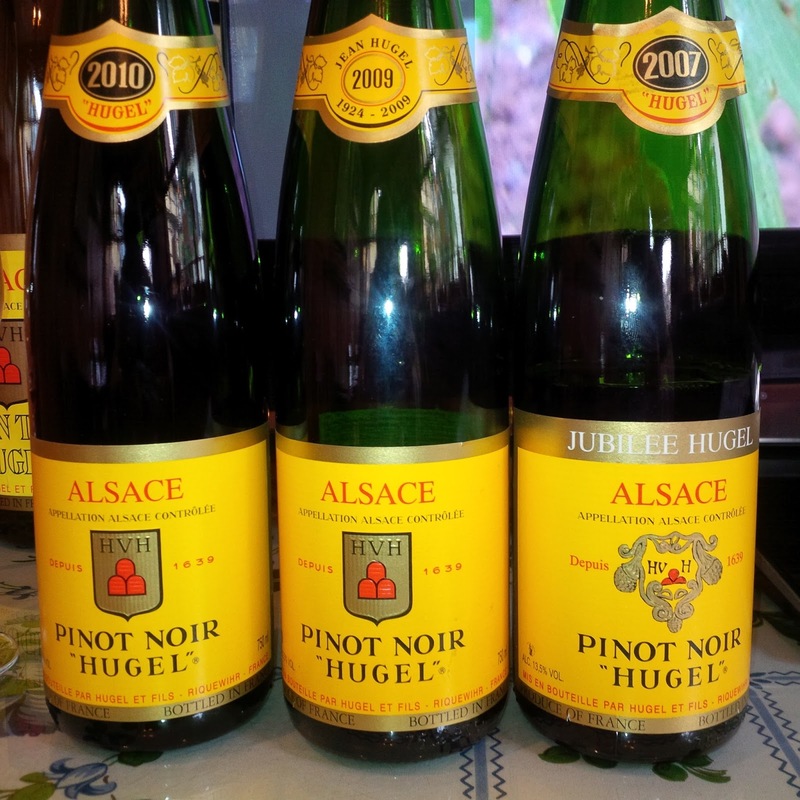 What they have in common is they were both established in the 1600's and still to this day family members of the Trimbach's and Hugel's are owners and operators!! Let's start with a bit about Trimbach. 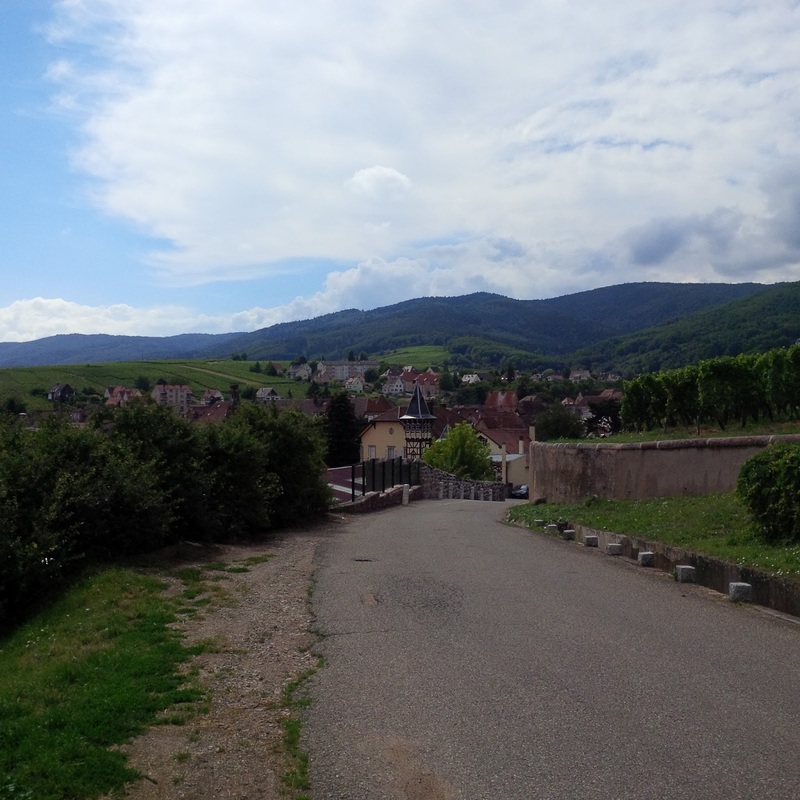 The are located in picturesque Ribeauville, Alsace. Like many other wineries they own multiple parcels of vineyards in a multiple number of villages (50 parcels and 7 villages = 44ha). 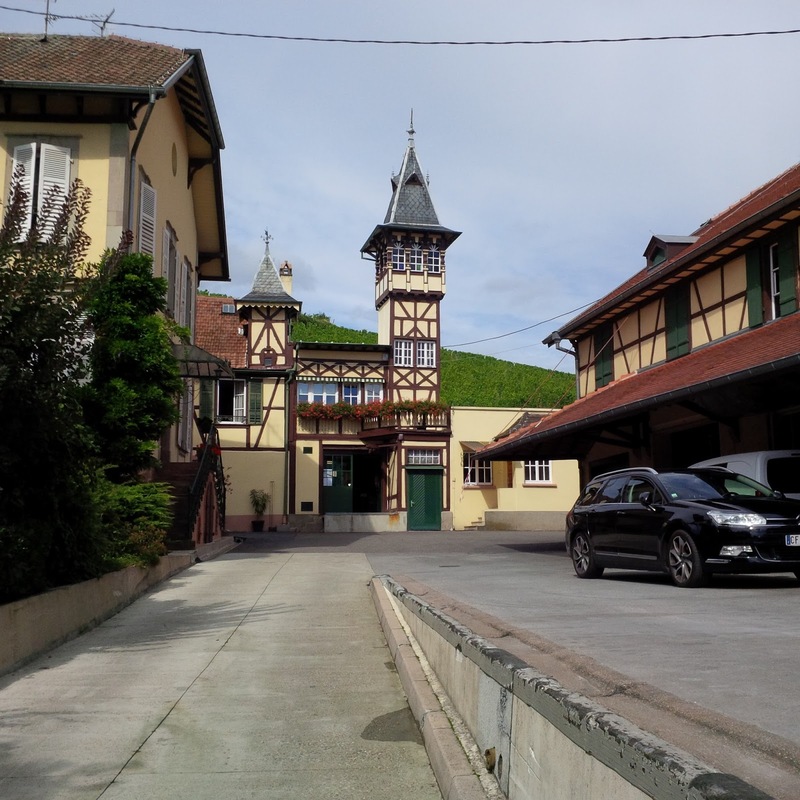 Their crown jewel is the 'Clos Sainte Hune'. 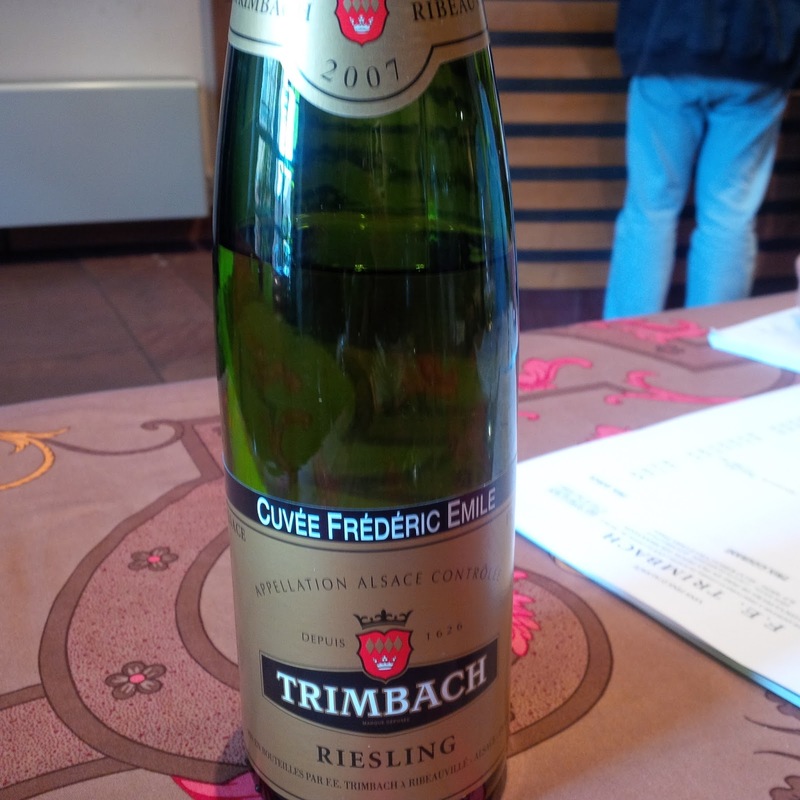 Anne Trimbach hosted my tasting and she represents the 13th generation. She was able to talk about the linage and significant contributions her great-great grandfather had made to the business. As for myself, I have no clue what my great-great grandfather did or even his name. Their wines are broken down into the Classics, the Reserve, Reserve Personnelle including Cuvee Frederic Emile and Clos St Hune. I am going to quote the Trimbach Style from the Producer Profile that was given to me: "...dry, sometimes steely, even a touch austere", "lean, precise", worthy of gastronomy.....and personally I couldn't agree more. 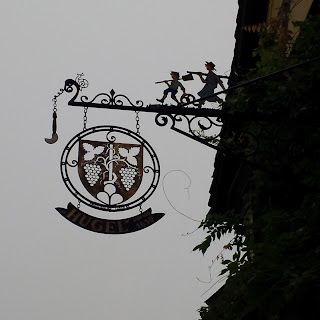 Hugel is located in the village of Riquewihr and their tiers of wines are as follows: Classic, Tradition, Jubilee, Hommage a Jean Hugel and then the sweeter styles VT (Vendage Tardive) and SGN (Selection de Grains Noble). 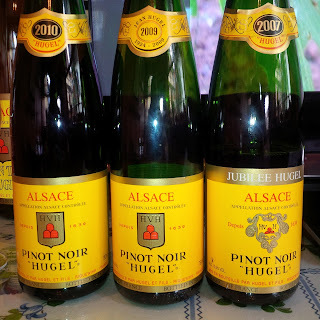 I had my tasting with a member of the Hugel family and also had a tour of the winery with their export manager David. 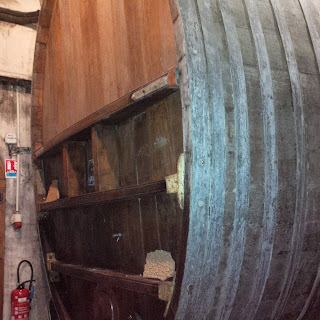 David took me around first and he commented about this fully functional winery in the middle of a medieval village. I never stopped to think about how difficult it must be to bring in your grapes with the traffic time and vehicle size restrictions. Plus it is a heritage building so you can't do anything to widen your bay doors or paint the windows etc......What an eye opener! It was an entertaining and informative tour featuring barrels over 150 years old! 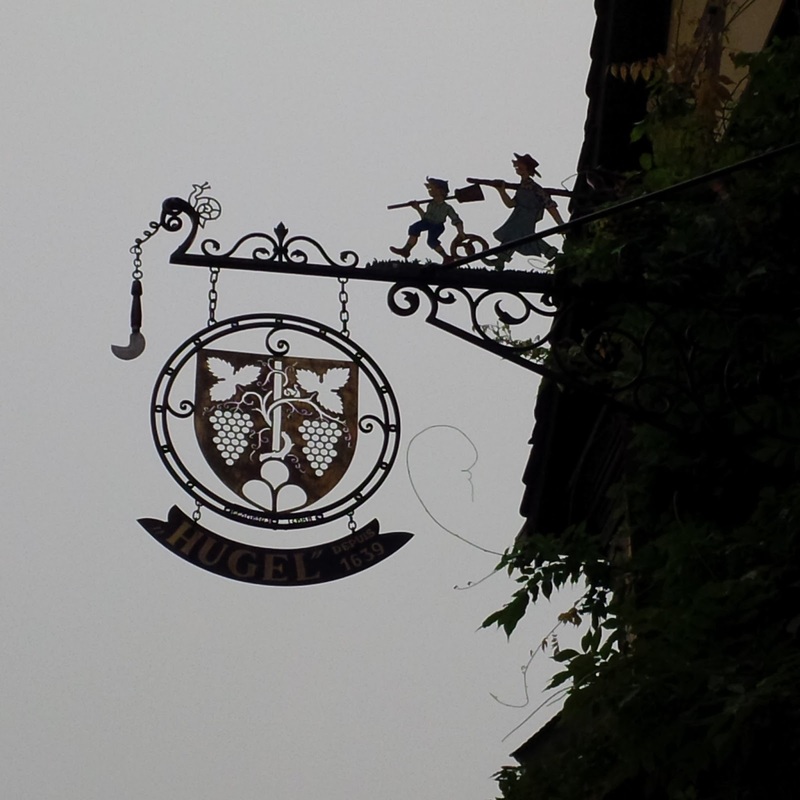 I very much enjoyed their wines and the assistance I got from my tasting host during my false alarm car troubles!